This portrait of Mary (Woodman) Haskell has been handed down through the generations and is a family treasure. Mary was the wife of Eliphalet Haskell, my fourth great-grandfather. Mary Woodman was b. 30 Mar 1755 to Joshua and Eunice (Sawyer) Woodman in Kingston, Rockingham County, New Hampshire. She d. 29 (or 23?) Sep 1839 in New Gloucester, Cumberland County, Maine and is buried in the Lower Cemetery in New Gloucester. Mary's gravestone indicates her death date as 29 Sep 1839. The New Gloucester Vital Records indicate her death date as 23 Sep 1839. Based on my grandmother's notes, this portrait was painted by an "itinerant artist, probably about 1800".Additional source information is available upon request. Family Recipe Friday – is an opportunity to share your family recipes with fellow bloggers and foodies alike. Whether it’s an old-fashioned recipe passed down through generations, a recipe uncovered through your family history research, or a discovered recipe that embraces your ancestral heritage share them on Family Recipe Friday. 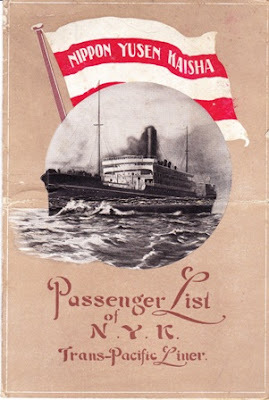 This series was suggested by Lynn Palermo of The Armchair Genealogist. Cut prunes into small pieces. Add shortening, water, sugar and spices to prunes and boil for 15 minutes. Cool. Stir in egg, flour sifted with baking powder. 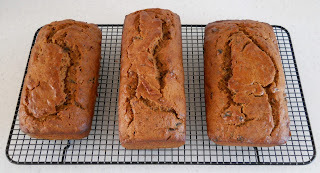 Pour batter into a greased and floured loaf pan. Bake at 350 degrees F for 45 minutes. Let cool in pan for 10 minutes before removing from pan. Christmas shopping! And wrapping presents. Well, sometimes. We did not do much different on Christmas Eve while I was growing up. Mostly we spent time preparing for Christmas day - cooking, last minute shopping, wrapping, making, etc. Once I got married, we celebrated Christmas Eve with my wife's family with a mid-afternoon meal and then opening presents around the Christmas tree. I don't have any information on how any of my ancestors spent Christmas Eve. 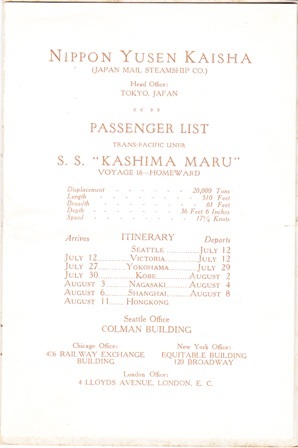 My grandfather, Merrill Haskell, was on his way back from Vladivostok, Russia in February 1920 and stopped at Kyoto, Japan. This photograph was labeled "Typical Japanese Shop, Kyoto Feb. 1920"
I am currently documenting and sourcing birth, marriage and death dates for my Haskell, Holbrook and Goodhue ancestors and their spouses and children. 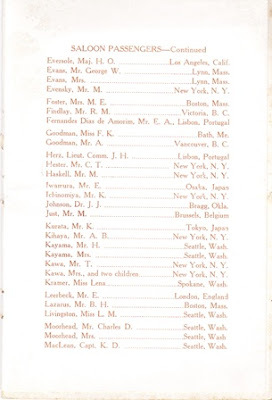 Since I am a member of the New England Historic Genealogical Society (NEHGS) , I am taking advantage of their online databases at www.americanancestors.org. Their website was updated and enhanced earlier this fall and it is one of my favorites for online research. Since many of my ancestors are from Massachusetts, I have been using the Massachusetts Vital Records to 1850 database a lot. This is incredibly handy and saves me a great deal of time from having to travel to a library that has hard copies of the Massachusetts Vital Record books. I start out using the advanced search, but if I cannot find my ancestor that way, then I can view the scanned pages of the original records and scroll through page by page to see if I can find the person that way. This works well, especially since some of the names had interesting spelling variations. I have a lot of information that was compiled by my grandmother, so I generally have a good idea of where the specific event took place for many of my ancestors. I have also been having success with some more recent ancestors in the Massachusetts Vital Records 1841 - 1910 and 1911 - 1915 databases. Both of these databases also have scanned copies of the original records. If you are not a member of NEHGS, I highly recommend joining to take advantage of these great online databases. We listened to it all. Some of us even played it. 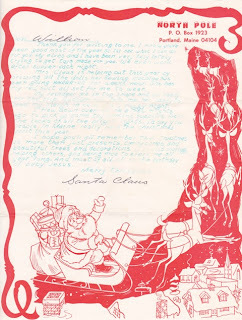 I liked playing Christmas carols on my trumpet and sometimes on the piano, although I was not very good on the latter. As I noted in an earlier post, my Mom enjoyed Amahl and the Night Visitors which we had on a record. I remember going caroling the first year we had moved to New Gloucester and one neighbor came out with a gun. They never had carolers before and were suspicious. We became good friends with those neighbors after that. We only had three neighbors that lived close enough to walk to, so I don't remember going caroling very often. I like them all but if I have to choose, then I would say "Hark! the Herald Angels Sing". I rarely get my Christmas shopping done early. More often my shopping was/is done by making a trip to LL Bean the day before... My Mom was better, but I don't think anyone in my family ever did their shopping before Thanksgiving. These days we have reduced our purchased gift giving significantly, so now I struggle to find time to make gifts. Not sure which is more difficult. What did you or your ancestors do to celebrate Christmas at school? 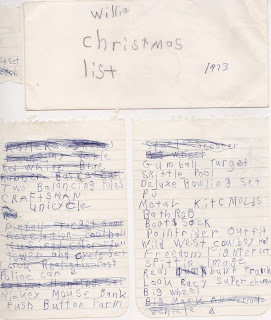 I vaguely remember Christmas parties at school in grade school, but I don't remember the specifics. From 4th grade through 7th grade I remember playing my trumpet in the school band and we always did an annual Christmas concert. Of all the family history artifacts and photos that have been handed down to me, I have very little that indicates what my ancestors did for Christmas or other holidays. I do not remember ever being involved in a Christmas Pageant. More history from New Gloucester, Maine. This article is about the 100th anniversary of the Universalist Church and was published on June 24, 1905 in the Lewiston Evening Journal. I found this article on the Google News site. Surnames in this article include: Albion, Andrews, Barnes, Barton, Byram, Fletcher, Forbes, Gowell, Hamilton, Hammond, Hitching, Locke, Markley, McAllister, Murray, Osgood, Paige, Perkins, Richards, Rogers, Scoborin, Snow, Titus, Wellington, Woodman. Transcription of newspaper clipping in Grace Ware (Holbrook) Haskell's scrapbook. 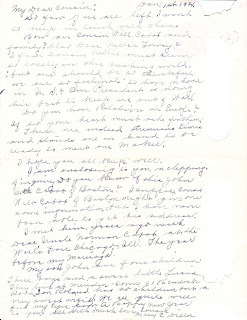 Handwritten in pen at the top of the clipping is "1911". Handwritten at the bottom is "12/11/11. Mr. and Mrs. N. F. Cabot quietly observed their 58th wedding anniversary at their home on Terrace street Wednesday. As the family is scattered this year no attempt was made to celebrate the event. Their health is excellent for persons of their advanced years. Here are a couple undated photos from my grandmother's collection showing some of the excellent apples grown on Scott Farm in Dummerston, Vermont. My guess is that these photos were taken in the early 1900's. Prompt for December 14 – Fruitcake – Friend or Foe? Did you like fruitcake? Did your family receive fruitcakes?We used to get a brick of fruitcake in the mail every Christmas when I was growing up. I don't remember who sent it to us or what company made it, but it was the worst. I'm not sure why but that box of fruitcake lived in our refrigerator for several months before we took it to the compost heap. Some archaeologist may uncover those discarded cakes sometime in the future and they will probably still look like they did when we received them. 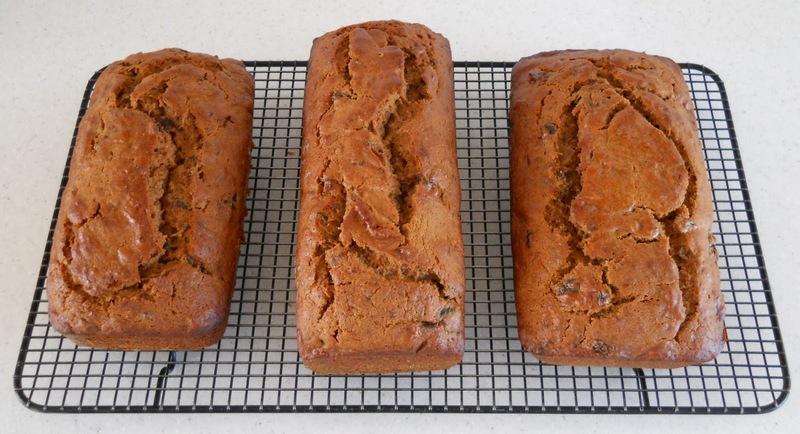 Aside from those fruitcakes, I actually like some homemade fruitcake. Have you ever re-gifted fruitcake? I don't think we ever wanted to regift the fruitcakes we received because we did not dislike anyone that much. I have not done much traveling during the holidays, but what I have done, I sincerely disliked. The times that I did travel was when I was going to graduate school in Colorado and having to fly back to Maine at Thanksgiving and Christmas. I think holiday travel increases the normal travel stress by several times. I remember spending far too much time in the airports in Denver, Colorado and Chicago, Illinois because of weather delays. These days we drive about 20 to 30 minutes on Christmas Eve and Christmas Day to our parents' house in a neighboring town. That is perfect! I have no idea. In recent years we have donated money to local food pantries to assist with holiday meals. I do not remember volunteering or doing charity work around the holidays. Here is another interesting bit of history about the local New Gloucester and Danville, Maine fair. This article was found on the Google News site in the Lewiston Evening Journal, September 29, 1898 paper. The article is about the "Big Ones", cattle and other things worth seeing at the New Gloucester and Danville Fair. Looks like they grew some big cows, oxen and top-notch veggies back in the day! Did your family or friends also celebrate other traditions during the holidays such as Hanukkah or Kwanzaa? Did your immigrant ancestors have holiday traditions from their native country which they retained or perhaps abandoned? I do not remember celebrating other traditions during the holidays. The closest thing I remember to another tradition was visiting our neighbors who were German and eating Marzipan candies and singing O' Tannenbaum. My family spent a lot of time outside and I always enjoyed giving and receiving outdoor gear. My favorites were sleds, cross-country ski equipment, snowshoes, fly fishing gear, outdoor clothing, backpacking equipment and books.Tools are another favorite gift to receive and give. I remember saving and buying an high quality set of screw drivers for my Dad one Christmas. I often received some item related to cross-country skiing because that was/is one of my favorite sports. I don't recall any specific gift-giving traditions in my family or by my ancestors. Here is the fourth chapter of New Gloucester Proprietors continued from my previous post. Lots of surnames in this article, including: Allen, Anderson, Bradbury, Brooks, Browne, Chandler, Deane, Ellery, Fairfield, Foxcroft, Fuller, Harris, Haskell, Hooper, Longfellow, Mason, Merrill, Milliken, Mitchell, Morrill, Noyes, Pike, Smith, Stevens, Stinchfield, Stirling, True, Tufts, Tyler, Warner, Willis, Woodbury. This article was written by Anson Titus in the June 27- July 1, 1908 edition of the Lewiston Journal Illustrated Magazine and was found on the Google News site. Christmas cookies are the best! Spritz, gingerbread, pecan tassies, fudge, jam thumbprints, sugar, molasses crinkles - all my favorites. How can you pick just one? I remember helping to decorate the cookies with frosting, colored sugar, raisins, cinnamon candies, silver dragees.Cutting out the cookies was always fun too. My great grandfather Frank Owen Haskell was a member of a turnverein in Portland, Maine. He is the one in the lower right of the photo. I would be interested in hearing from others who might have information on this group. Advent Calendar - Party Time! Our family did not throw Christmas parties. We did have New Year's Eve parties for several years. These parties usually involved sledding on our hill out in the hayfield or skating on the ponds near the house. We always hoped for a clear night with a full moon for these events. These events were a blast! Lots of food, mulled cider and family and friends. The first year we did this was 1971 after we moved to our farm in New Gloucester, Maine. I remember the house was undergoing major renovations and it was cold. I'm not sure anyone made it to midnight at that event because the house was so cold. We had a woodstove in the kitchen and it could not keep up. Over time these get-togethers disappeared. My sisters and I have talked about reviving this event, but it is one of those things that never seems to happen. 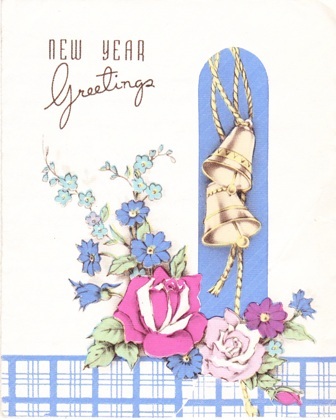 It seems that in many recent years we have not even had snow or ice on New Year's. My wife and I just attended my company Christmas party last Friday. This is the only holiday party that we attend regularly these days. For the past few years, this party has taken place at a local restaurant and is generally a pretty low-key event. Here is some more interesting New Gloucester, Maine history and genealogy news from an April 12-15, 1911 article in Lewiston Journal, Illustrated Magazine Section titled "Maine Families, and their Genealogies". The article is about the Harris Family of New Gloucester. This article was found searching the Google News site. Surnames in this article include: Allen, Bacheldor, Bradbury, Cook, Davis, Foxcroft, Gower, Guptil, Harris, Harrison, Haskell, Hersey, Johnson, Megquire, Merrill, Otis, Parsons, Record, Roberson, Tobie, Tyng, Waterman, White, Witham, Yetton. You bet! Here is one from 1973 when I was 7 years old. I don't recall getting anything on that list! 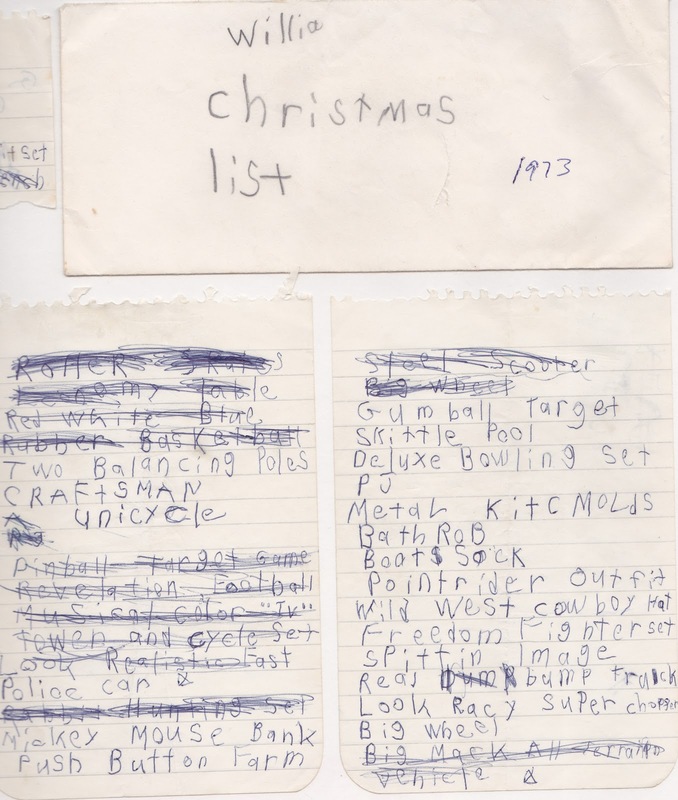 I know I sent lists to Santa. 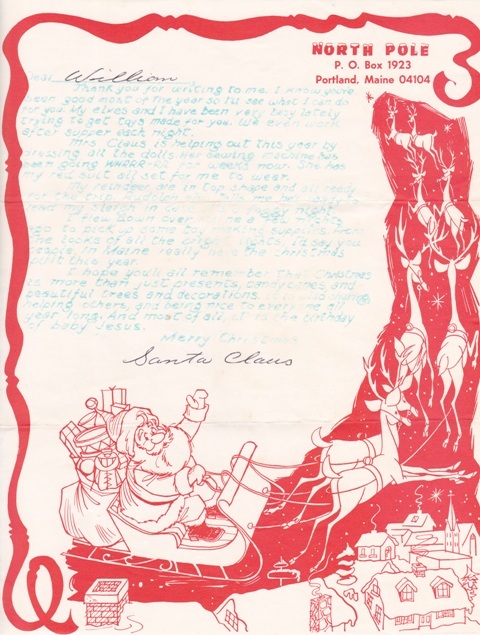 Here is a letter that I received from Santa. Thank you for writing to me. I know you've been good most of the year so I'll see what I can do for you. My elves and I have been very busy lately trying to get toys made for you. We even work after supper each night. Mrs Claus is helping out this year by dressing all the dolls. Her sewing machine has been going WHRRR-RR for weeks now. She has my red suit all set for me to wear. My reindeer are in top shape and all ready for the trip. Rudolph also tells me he's ready to lead my sleigh in case it's a foggy night. I flew down over Maine a few nights ago to pick up some toy making supplies. From the looks of all the bright lights, I'd say you people in Maine really have the Christmas spirit this year. I hope you'll all remember that Christmas is more than just presents, candy canes, and beautiful trees and decorations. It is also sharing, helping others and being nice to everyone all year long. And most of all, it is the birthday of baby Jesus. Did people in your neighborhood decorate with lights? Did some people really go “all out” when decorating? Any stories involving your ancestors and decorations? We were minimalists when it came to outdoor decoration. Homemade wreaths on the house doors and sometimes a large 5-foot diameter wreath on the barn was the extent of our outdoor decorations. It was probably because we lived on a rural dirt road and our nearest neighbors were 1/4 and 1/2 miles away. I see many more people going "all out" today than back when I was growing up in the 1970's and 80's. Here is the third chapter of New Gloucester Proprietors continued from my previous post. Lots of surnames in this article, including: Allen, Bradstreet, Chipman, Collins, Dennison, Foxcroft, Hammond, Harris, Haskell, Hayes, Herrick, Marston, Parson, Prince, Riggs, Sturgis, Thompson, Tyler, Ward, Warner, Whitney. This article was written by Anson Titus in the June 13-17, 1908 edition of the Lewiston Journal Illustrated Magazine and was found on the Google News site. Enjoy! My mother was always very good about sending out Christmas cards, although I think it was always a chore. 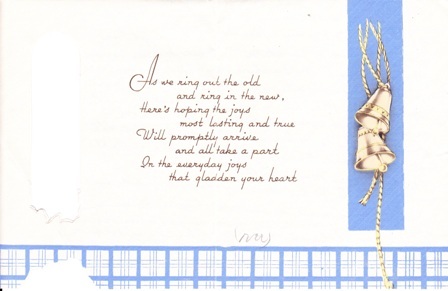 We always displayed up the cards that we received - usually hanging them around the doorway into the living room where we had the Christmas tree. I still send out a few Christmas cards, but the number has reduced significantly over the years. I remember making linoleum block print cards one year which was fun. I saw some copies of these cards at my Dad's house, but I don't have any images of them. As I have indicated previously, several of my Haskell ancestors were early residents of New Gloucester, District of Maine. I have found several articles published in the Lewiston Journal Illustrated Magazine in 1908 that provide a very interesting account of how the town was founded. These articles quite interesting to me, as I grew up in New Gloucester and lived there for 15+ years. 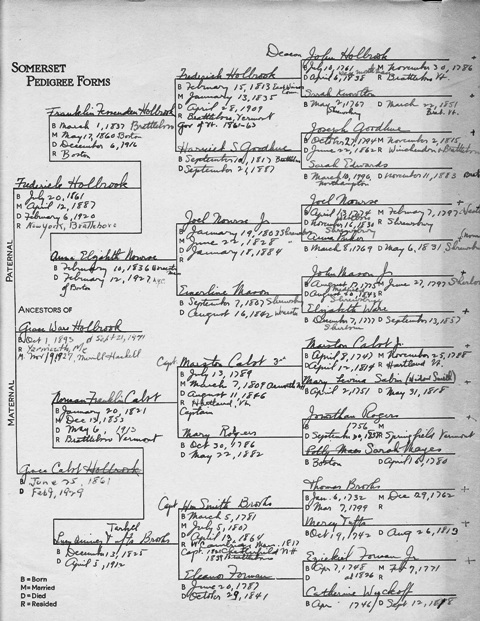 There is a lot of great genealogy information in this article. The article "The New Gloucester Proprietors: Their Days and Descendants Chapters 1 & 2" written by Anson Titus in the May 16-20, 1908 edition of the Lewiston Journal Illustrated Magazine was found on the Google News site. We had several old ornaments - mostly glass balls and a couple glass bird shaped ornaments. 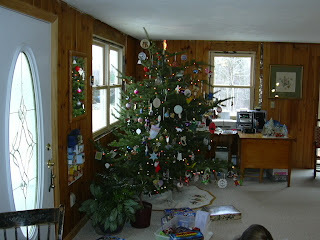 We never had a star that went on the top of the tree, but we did hang a small comet-shaped metal ornament near the top. I do remember stringing popcorn several times, but we did not do it every year. We made paper chains and often added to them year after year. When I was young I remember large multi-colored lights, but when I got older we bought small multi-color lights for the tree. We now use small white lights on the tree. There were many homemade ornaments made by various members of the family. There are many homemade ornaments on our tree now. My wife has made many cross-stitched and tatted ornaments that fill the branches. I remember making ornaments with my Mom out of dough. These were often farm animals, but they usually broke after a year or two. Some of the older ornaments may have come from previous generations, but, if they were, the history was never passed along to me. The one thing I like the best was not a tree ornament but a decoration. We had a village consisting of little wooden houses and buildings, farm animals, people, cars, trains and trees. I would spent hours arranging and rearranging this village into different configurations. Some years I would get something new to add to the village. Unfortunately, I don't seem to have any photographs of the village or of our Christmas tree from when I was growing up. My family generally ate what I would consider as traditional foods at our holiday meals. Christmas dinner usually included turkey or ham, salad, stuffing, cranberry sauce, mashed potatoes, assorted vegetables and homemade bread or rolls. Dessert was often a variety of pies. While I was growing up we rotated holiday meals between my aunt and uncle's house and our house. I remember at our house always having to polish the special silverware before the meal. I don't remember any unusual Christmas meals. However, one Thanksgiving we had Japanese food prepared by several Japanese exchange students that were friends with one of my sisters. I'm not sure this was a big hit with most of the family, but it is certainly something I will always remember. Today we have two Christmas meals. On Christmas Eve we go to my wife's parents house. This meal consists of many finger-type foods, such as shrimp with cocktail sauce, lil' smokies, veggies & dip, bugle snack chips, crackers & cheese, various holiday cookies, pies, etc. On Christmas day we go to my Dad's house for a more traditional mid-day meal. My Mom always made a variety of Christmas cookies and sweet breads to distribute to neighbors and friends and of course for our own enjoyment. spritz cookies and pecan tassies were always my favorites. My family always had a real Christmas tree - usually a balsam fir tree. There is nothing better than a real balsam fir tree smell to make you get excited about Christmas! One year we tried a blue spruce tree instead, but it had a very pungent smell and was not very pleasant. It was typically a family event to walk out into the woodlot and pick out the Christmas tree. This expedition was often made while carrying sleigh bells and singing Christmas carols. My Dad's woodlot is full of mature trees, so it seems that we always cut down a 50-70 foot tall tree and lopped the top 6 feet off of it for our tree. The downside to this is that often several branches broke off as the tall tree came down to the ground and sometimes we had to drill holes in the trunk and wire new branches on to avoid having a gaping "hole" in our tree. Other times the trunk was so crooked that we had to wire the tree to the wall to keep it from tipping over. We always lugged back many of the extra boughs for making wreaths, swags, etc to decorate the doors and those of our neighbors. It always took a day or two to get the sticky pitch off of your hands and clothes after the Christmas tree expedition. We always got our tree the Sunday before Christmas and it usually came back down the Sunday after New Years. Before my Mom died in 1980 the whole family participated in decorating the tree, often while listening to Amahl and the Night Visitors on the record player. When we took the tree down, we always put it out back near the bird feeder for the birds to enjoy. We have continued the tradition of making the annual trek out into the woodlot, although we now try to cut shorter trees. Sometimes I try to scout out some good trees prior too, or else it may take a long time to find one. When I lived out west while going to graduate school and during my first job, we considered getting an artificial tree, but I just never could get myself to buy one. I really enjoy the smell of a real balsam fir tree (the blue spruce I can do without!). Lately we have been considering the possibility of a live Christmas tree. Ancestral Chart No. 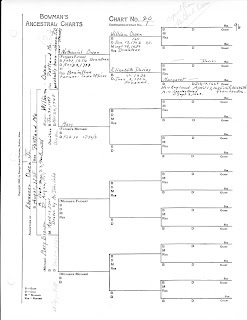 20, continuing Merrill Haskell's direct family line, compiled by Grace Ware (Holbrook) Haskell's. 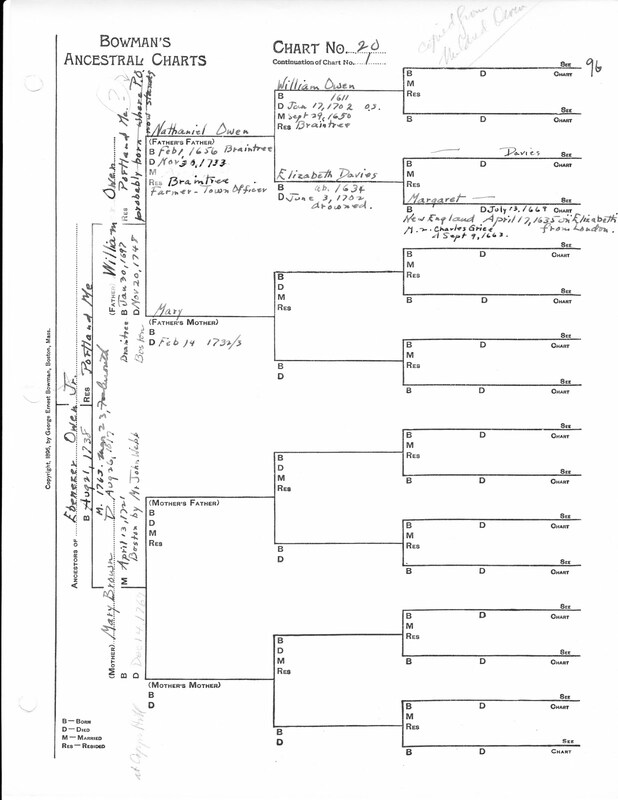 Chart 20 continues from Chart 1 with Ebenezer Owen, Jr. who married Abigail Cotton about 1763. July 13th  On Monday July 8th camp opened. the first girls to arrive were those from South Vernon and Guilford who were met in Brattleboro & brought here by Cook & Brown. Last year's girls are: Helen Hughes, Gladys Brown, Hattie Johnson, Gertrude Johnson, Irene Fairman and Julia Fairman; and the new girls are Grace Johnson, Winnifred Mead & Virgie Goodnow. They were here for lunch, and in the afternoon settled down in their tents. Elizabeth gathered them together to start stoves while peas were being shelled. Other girls who arrived in the afternoon were Mildred Taft, Dora Clark & Bernice Dodge from West Dummerston; and Clara Fisher, Florence Merrill, Hazel Fox from West Brattleboro; and Marion Laughton from Dummerston. The old girls were delighted with the camp site and by supper time many said they knew camp was going to be even better fun than last years. the atmosphere was quite cheerful and the songs about the camp fire went very well - in spite of the cool evening. the beds were all pinned in by Sarah to insure no air spaces after getting into bed for the night. Caleb S. Haskell - One of the Oldest Twins in the U.S. Many of my Haskell ancestors lived in New Gloucester, Maine. I have found several interesting old newspaper articles in the Lewiston Evening Journal at the Google News site that provide some interesting glimpses into the past of this town. Here is an April 16, 1903 article about the death of Caleb S. Haskell who had the distinction of being one of the oldest twins in the United States at the time of his death. Caleb S. Haskell, Was One of New Gloucester's Oldest Citizens. A Sister Survives Him, Aged Eighty-nine Years. They Had the Distinction of Being the Oldest Twins in the United States. NEW GLOUCESTER, Me. April 16 (Special). -- Caleb S. Haskell of this town died early this A.M. after a short illness. He was stricken on Wednesday with acute kidney trouble. His family was hopeful of his recovery until Monday, when new complications developed. Wednesday he showed a marvelous revival of strength. But the power to hold this new condition failed rapidly and he lost his hold gradually on life, passing away quietly as one going asleep. This was just six days after taking his bed. Mr. Haskell in personal characteristics was a most affectionate and cherished husband and father. By reason of his age and his keen mental faculties Mr. Haskell was considered an authority on local history. Throughout the village he was known for his kindness of heart and benevolence to the poor and suffering. Mr. Haskell is survived by a twin sister, Mrs. Judith P. Bradbury, now living in Roxbury, Mass. Before Mr. Haskell's death, they had the distinction of being the oldest living twins living in New England and probably in the United States. They were born in New Gloucester, Aug. 14, 1814. Their parents, Caleb and Judith Collins Haskell had 12 children of whom 10 grew to maturity. Five of them were black-eyed and five blue; five right-handed and five left-handed. Their father, who lived to the ripe age of 91, had a twin sister who reached the age of 87. Caleb S. Haskell always was a resident of New Gloucester, except for a short time when he worked at the mason's trade in Boston, and was employed in the construction of the Boston custom house. He worked as a carpenter considerably and also devoted much attention to farming. Feb. 10, 1840, he married Martha P. Rowe, a daughter of Jonathan and Sarah Pierce Rowe of New Gloucester, who survives him. Both Mr. and Mrs Haskell were for many hears members of the choir of the New Gloucester Congregational church. Mr. Haskell never found it necessary to use glasses. He always totally abstained from the use of both tobacco and intoxicants. Of their three children the only one living is Newell P. Haskell, deputy collector of internal revenue with headquarters in Portland. June 12th  Heavy rain & thunderstorm through the morning & afternoon. Wrote letters, walked with the Dabneys & Miss Lubovitsky. June 13th  Cold & overcast in the morning, when all but Miss Lubovitsky, Miss Kehl & I went off to Cornish [?] for the day. I saw Miss Wellman, & we all did errands in the village till lunch time. We napped, wrote letters, typewrote & played the piano in the afternoon. Later, it cleared off finely, & the afterglow was beautiful - At twilight a bright new moon shone through the clouds over the tree tops over our hill. 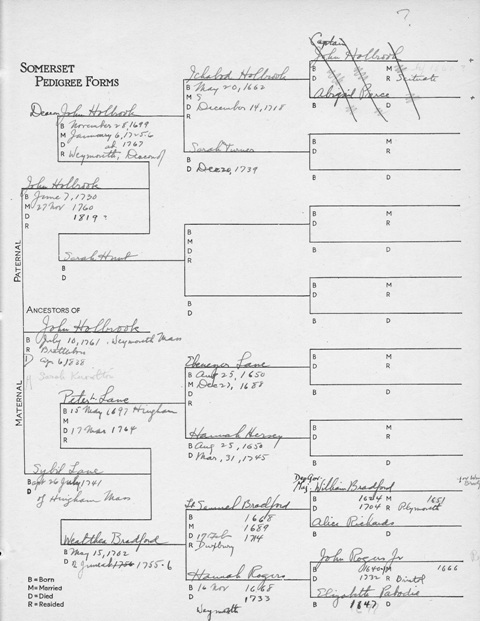 There are six people buried in this plot, including Charles Alfred Haskell, his wife, Mary Sophia (Foye) Haskell, Louise F. Haskell, Nellie Marie Haskell, Dr. Alfred W. Haskell, and Julia M. Foye. Charles Alfred Haskell was the son of my great great grandfather Alfred Haskell and the brother of my great grandfather Frank Owen Haskell. Alfred W. and Louise F. Haskell were children of Charles A. and Mary S. Haskell. Julia M. Foye was the sister of Mary S. (Foye) Haskell. I'm not sure where Nellie M. Haskell fits in to the family. I have not found her living in the Charles A. Haskell household in the 1880, 1900, 1910, 1920 or 1930 censuses. Transcription of newspaper clipping in Grace Ware (Holbrook) Haskell's scrapbook. 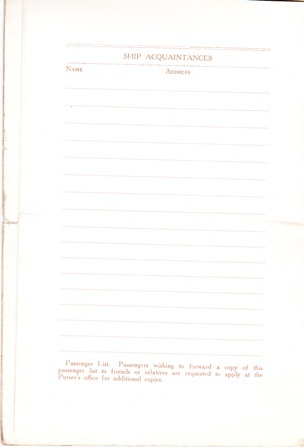 Handwritten in pen at the top of the clipping is "1926". No newspaper name is provided. Mrs. Frederick Holbrook of Brattleboro, Vt., announces the engagement of her daughter, Miss Grace Ware Holbrook, to Mr. Merrill Haskell of Portland, Me. 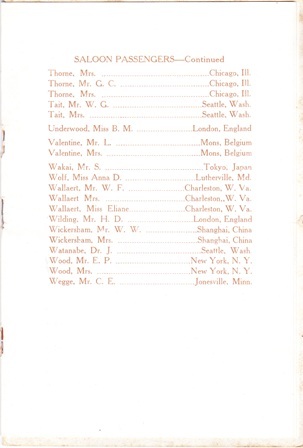 Miss Holbrook, who attended Milton Academy and was graduated from the Lowthrope School of Landscape Architecture and Horticulture for Women, is a member of the Sewing Circle of 1913. No definite date has been set for her marriage to Mr. Haskell, who received his degree from Dartmouth College in 1915. 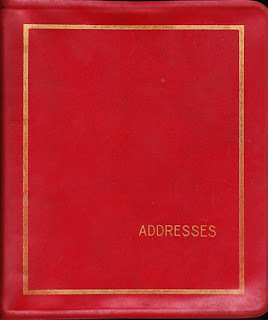 One of the more interesting source documents handed down by my grandmother, Grace Ware (Holbrook) Haskell is her red address book. 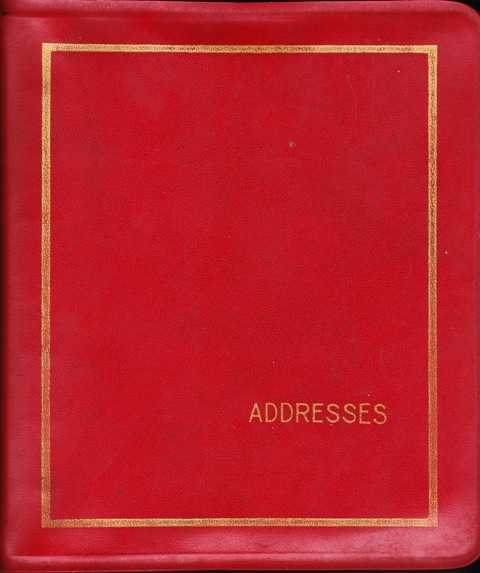 This book is not only packed with addresses, but it also has a wealth of genealogy and family history data, including cemetery lot locations, school graduation dates, military service dates, trip dates, military ranks, health information, dates of major sicknesses, birth dates, death dates, marriage dates, employment dates and locations, holiday gift lists. I doubt that many people kept this kind of information in their address book, but my advice is don't overlook the address book as a valuable source of information. Transcription of newspaper clipping in Grace Ware (Holbrook) Haskell's scrapbook. Handwritten in pen at the top of the clipping is "Reformer June 19, '12"
Francis Goodhue, 3d, of Philadelphia sailed June 2 for France to drive in the Norton Hardges ambulance corps. He had been working for his father, Francis Goodhue, in Philadelphia up to the time of his departure. He is 23 years old and a grandson of the late Col. Francis Goodhue of Brattleboro. He hopes to drive with or near the unit in which Appleton Miles of Brattleboro is working and with whom he has been intimate since they were small boys in Brattleboro. Transcription of newspaper clipping in Grace Ware (Holbrook) Haskell's scrapbook. Name and date of newspaper not provided. The 19th annual meeting of the National society of Colonial Dames in Vermont was held Wednesday in Burlington. Visiting members were entertained at luncheon by Mrs. J. Holmes Jackson, wife of the mayor, and Mrs. H. Nelson Jackson. Mrs. J. A. Mead of Rutland, president, delivered an address. President, Mrs. John Abner Mead of Rutland; first vice president, Miss Mary Austin of Burlington; second vice president, Mrs. J. Holmes Jackson of Burlington; secretary, Mrs. George Allen Laird of Royalston; treasurer, Mrs. Charles H. Darling of Burlington; registrar, Mrs. Perley Hazen of St. Johnsbury; historian, Miss Mary Rogers Cabot of Brattleboro. Michael left for New York and Mrs. Delano, Miss Kehl & I saw him off at the station. After the errands were done, we went across the river to get mountain laurel, and found quantities, although much had already been picked. In a beautiful grove, I found maiden hair fern in great clumps, and gathered a small amount of it. Mrs. Delano was absorbed in the Boston American headlines, while Miss Kehl & I joined forces on the laurel hunt. 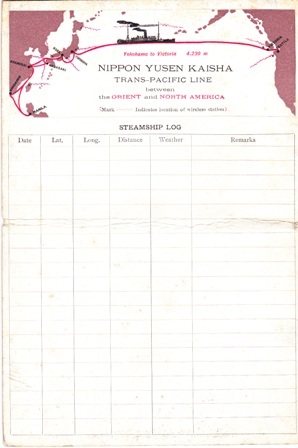 The others motored, & I wrote letters etc. June 10th 1918 Overcast & cold. In the morning I met Miss Eddy to talk over prospects of camp. We had a picnic lunch at Upper Dutton Farm, & it was great fun getting it ready in spite of excitements not being prepared for it. The planked [?] shad was fine, & all enjoyed the lunch. the Misses Dabney & Miss Lubovitsky walked up the hill, & later Miss Kehl, Michael & I walked home. We went to call on Mrs Miles who was out, & then saw Aunt Molly, as Michael wished to say goodbye to her. William F. Brooks, the gifted son, was said to be "the handsomest young man in the State of Vermont." He also had fine manners and conversational brilliancy: because of his personal charm and a natural susceptibility to environment, Grandmother evinced anxiety for the future of her eldest son to whom she was particularly devoted. She feared that "William would either be a very good man or a very bad one." In 1829- 1830, when he was ten years of age, he began his career as clerk in the store of Gardner C. Hall at Putney, which was at this time a more important town than Brattleboro, and lived with Mr. And Mrs. Hall. He was Captain of the Brattleboro Light Infantry the same year. In 1834-36 he entered into business in Manchester, England, with his cousin, Samuel R. Brooks, a man of gentlemanly tastes, but visionary in matters of business. The undertaking was a failure. In 1836, he lived at Waterloo five miles from Liverpool. The family have in their possession illustrated books, vases, candlesticks and other household furnishings, all in exquisite taste, sent by William Brooks from England to his people at home, for he was generous to a fault, and a good friend to his brothers and sisters, -- interested in the education of those younger than himself and always ready to give them assistance to the best opportunities of the period. On his return to America he made some important inventions, but the money obtained from them accrued to others, as is so often the experience of inventors, so that his life would have been a struggle if it had not been relieved by the practical aid of his brother Horace. He was handsome, and charming, and generous to the end. "From William F. Brooks when in England, came the art of making seamless brass and copper tubing, and patents therefor have been sold to the amount of $500,000." Burnham's History of Brattleboro. In 1862 he received an order for 10,000 carbines. 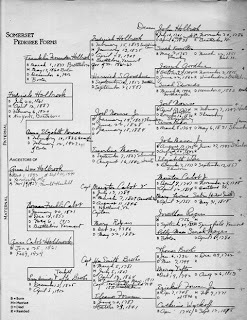 My grandmother, Grace Ware (Holbrook) Haskell's genealogy research binder that focuses on the Holbrook Family genealogy includes a manuscript prepared by Mary Rogers Cabot titled "Brooks & Forman Papers". This document is typescript and undated. There is a note on the front cover indicating this was a copy for GWH. This document provides some interesting information about the Brooks and Forman families, even though there is limited source information provided. Mary Rogers Cabot was the author of the two volume set titled "Annals of Brattleboro [Vermont], 1681 - 1895", published in 1921 and 1922 by the E. L. Hildreth & Co., Brattleboro, Vermont. Mary Rogers Cabot was the daughter of Norman Franklin and Lucy T. (Brooks) Cabot was born in Brattleboro, Vermont on 20 August 1856. She died in Brattlboro on 30 April 1932. I look forward to transcribing and sharing the information from this manuscript over a series of posts in the coming months. We climbed Skyrocket in the morning - Miss Lubovitsky, Michael, Cabot & I, and found quantities of strawberries on the hill. We discussed growing things in general and enjoyed ourselves very much. Michael received from Miss Follett a letter on democracy which stirred everyone, especially him, by the general attitude with which it was received as much as anything else. We played tennis a little, after Cabot had departed & the letter was read aloud to all by mother, leaving them to discuss matters by themselves. Transcription of Gravestone #1: JABEZ C. HASKELL/DIED/June 27, 1875/AE. 76. Jabez's gravestone death date conflicts with the New Gloucester Vital Records which includes the following entry: Jabez C. Haskell died January 27th, 1875 aged 76 years. Lucinda's gravestone death date matches the New Gloucester Vital Records provides the following entry: Mrs Lucinda Haskell died Sept 11, 1852 aged forty-five years. The New Gloucester Vital Records also provide the following marriage record: Joined in Marriage Mr Jabez C. Haskell and Miss Lucinda Purinton both of New Gloucester Dec 2, 1827. 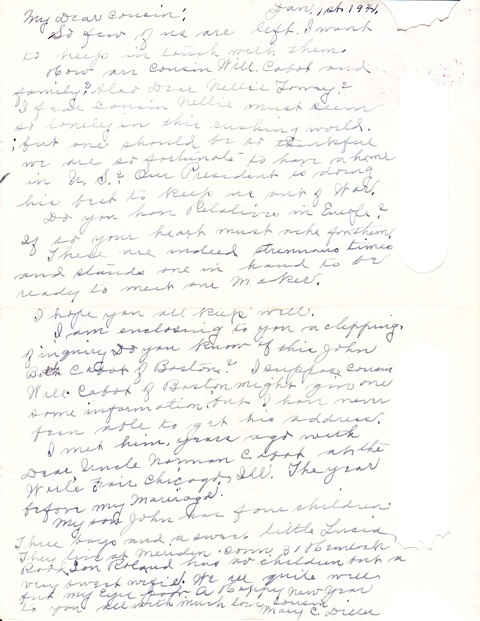 Here is the transcription of another letter from Mary C. Diller to my grandmother Grace Ware (Holbrook) Haskell. 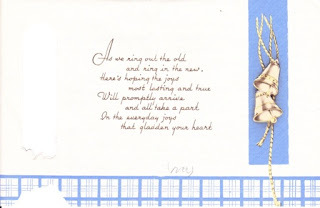 It is a long time since I have heard from you or cousin Nellie Torrey. She usually writes me about "Xmas" time; but she did not write me this last "Xmas" and I am afraid she is sick or passed away. Will you please write me as I am anxious to know if she is in good health and still living? This terrible War so depressing. Is your son old enough to be in this World's War? My Eldest son John Cabot Diller is Major in the Air Corpse somewhere over seas. I am anxiously awaiting official announcement of his safe arrival. His wife and four children are moving from Meridian, Connecticut to a warmer climate in Florida. She feels her heavy burden keenly and I do hope she can stem the tide. Major John Cabot Diller was at Miami and Busch, Florida six weeks. Then sent to Harrisburg, Pa after three weeks stay. 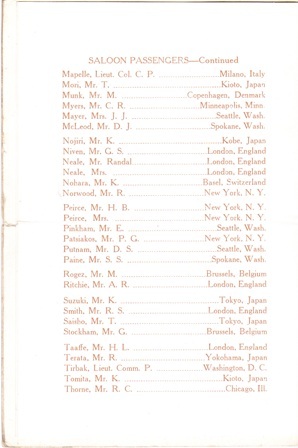 The Majors were sent to Washington, D.C. 2 1/2 weeks. 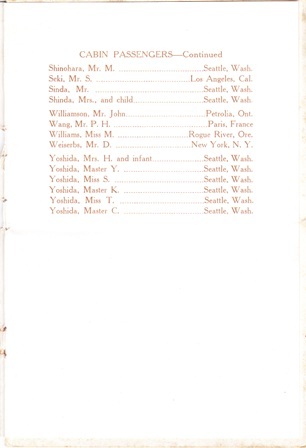 Given a Furlough and son John went home to Meridian, Conn.
From there he was sent to San Francisco, California awaiting transportation to go over seas. After that sent to New Port, Virginia. "Xmas" morning a telegram announcing he had sailed for over-seas. His wife calapsed [sic] in a Real Estate Car looking up a home to move to. She was carried to a stranger's home and a Dr. summoned by the good lady of the house. Result a nervous break down. However she wrote she must go on and do her part to win this terrible War. I do hope she can survive her terrible ordeal. Meridian climate too cold for her. Hence she is seeking a warmer clime. Her four children in school. To be placed to another school. I do hope and pray that she may be able to stand up under the terrible strain. She writes however she shall always love Texas she calls her husband nevertheless. I have been in three Wars and shall be so thankful when it is over. Yesterday it rained hard, & later in the day it cleared & grew colder. We remained here through the day doing various bits of housework. Today Miss Lubovitsky & I drove with Edwards to Brattleboro & stayed to lunch with Aunt Molly. Mr Moffitt met me & we went over the lists for camp candidates. Mother & Michael arrived later, with the Dabneys & Cabot in time for afternoon tea. Michael handed He was most excited over his Boston visit & with all that happened there - The Barrys dined with them, also Sarah Bradley & Miss West. Then Michael went to see Gerard's pictures, shopped with Cook, had tea with the Bradleys etc. We played tennis before dinner for a short time - and danced for the benefit of with several spectators about. presented me a huge box of candy with remarks that it was "so very small". 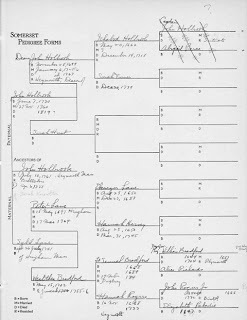 This chart continues from Grace Ware Holbrook Ancestral Chart 1. This chart begins with John Holbrook b. July 10, 1761. Surnames on this chart include: Holbrook, Turner, Hunt, Lane, Hersey, Bradford, Rogers, Richards, Pabodie. Transcription: In memory of/Majr. Jacob Haskell./died Sept. 29, 1825./AEt. 82. Jacob Haskell was b. 12 Aug 1745 to Jacob and Tabitha (Day) Haskell in Gloucester, Essex County, Massachusetts (Gloucester VR to 1849). Based on this birth date and the death date on his gravestone, this would put his age at 80 at time of death not 82. I have also seen an alternate death date for Jacob as 29 Sept. 1820. So few of us are left. I want to keep in touch with them. How are cousin Will Cabot [William Brooks Cabot] and family? Also Dear Nellie Torrey? I fear cousin Nellie must see so lonely in this rushing world; but one should be so thankful we are so fortunate to have a home in the U.S.A. Our President is doing his best to keep us out of War. Do you have Relatives in Europe? If so your heart must ache for them. These are indeed strenuous times and stands [?] one in hand to be ready to meet our Maker. I hope you all keep well. I am enclosing to you a clipping of inquiry so you know of this John B. Cabot of Boston? 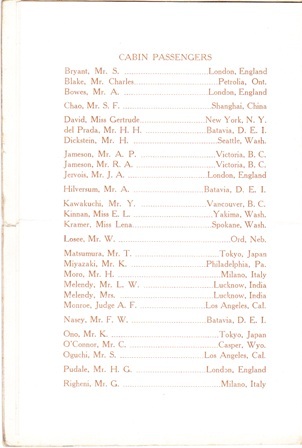 I suppose cousin Will Cabot of Boston might give one some information but I have never been able to get his address. I met him years ago with Dear Uncle Norman Cabot [Norman Franklin Cabot] at the Worlds Fair Chicago, Ill. The year before my marriage. Mother & Michael went early in the car on their way to Boston for two or three days stay. They planned to stop at Camp Devens to see Cabot on the way down. Later, I took the car down to the repair shop - as the shaft & bearing were broken. At the Episcopal Parish House there was a meeting of Public Health workers of the County, to discuss the possibilities of cooperating & organizing with the Red Cross, for a larger field of work & workers. Miss Mary Gardner spoke then & also in the afternoon - in an appeal for the public health work. Miss van Patten & Miss Wakefield gave outlines of their work among others, & all was well & clearly expressed. I met Mr. Moffit to talk over plans for camp etc - & made beginnings at least toward a settlement of ideas. 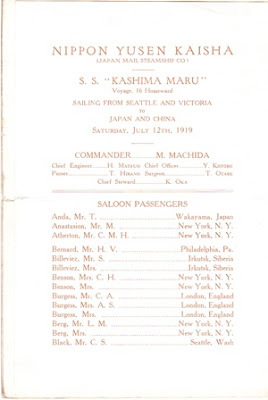 When my grandfather, Merrill Haskell, went to Vladivostok, Russia in 1919 he sailed out of Seattle on the S.S. "Kashima Maru". He saved a copy of the passenger list, which provides details about the ship, the itinerary, and a list of the passenger. He is listed as a Saloon Passenger on page 4 as "Haskell, Mr. M., New York, N.Y.". The others he was traveling with, include "Norwood, Mr. R., New York, N.Y." on page 5 and "Wood, Mr. E.P. and Mrs., New York, N.Y." on page 6. Transcription: In/memory of/Eliphalet Woodman,/who died/April 23, 1802/AEt. 21. Miss Lubovitsky, Michael & I went to the village for various errands - while I was at Mrs Cavanaugh for a shampoo, Miss Lubovitsky & Michael were at Hanrahans [?] looking at dresses, etc.We reached home just in time for lunch - Michael drove for the second time and did very well, and Miss Lubovitsky said nothing to distract attention, inspite of its being a trial lesson. Miss Lubovitsky's dresses were tried on in the afternoon, with remarks from all as to their suitability. Later, Michael and I played tennis for a short time before going to meet Mr. Barrows and Mr. Merrill. On the way down, while Michael drove the car, the thrust bearing of the gears broke and we had to leave the car at Mosher's Garage, & join the others in their car to go up the West River. Michael talked of Russian customs, court occasions, friends, home and many other things, while we sat in the back of the car. Mr. Merrill's farm was beyond Staubbach Falls - past isolated farms and gateways - in fact at the end of the roadway. The country is very wild and beautiful about there and quite fascinating. The time passed rapidly & as the farm is about nine miles from Brattleboro, it took some much longer than I supposed it would. We had at 9.30 dinner, and the others had only just finished as they waited a long time for us. 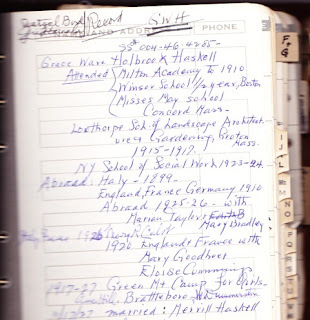 My grandfather, Merrill Haskell, graduated from Dartmouth College in 1915. I found a note in my grandmother's address book that said he was in the Mandolin Club when he was at college. Here is a photo of his mandolin, which we found in the attic of his house when he passed away. The bowl-back mandolin was made by C. F. Martin & Co. Looking inside the bowl, I found the serial number (3112), which after a little Internet research, I was able to determine that the instrument was built in 1911. This makes sense, as my grandfather would have started college in 1911. It seems that mandolin's were all the rage around the turn of the century. This article at the Mandolin Cafe gives a brief history of the instrument. Research action items - Make a research trip to the Dartmouth College Library in Hanover, NH and see if I can find any photos of the Mandolin Club between 1911 and 1915. Tombstone Tuesday - Francis Goodhue, Esq. Transcription: FRANCIS GOODHUE, Esq./died/March 18, 1839./aged 71.